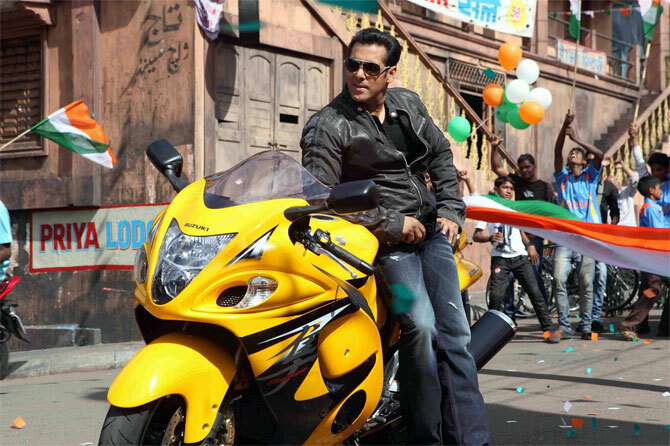 Bollywood’s Bhai Salman Khan is one of the most wanted actors in Bollywood. His presence on screen has been making movies cross Rs 100 crore mark at the box-office. Salman Khan is busy with back to back films in his career and he has his hands full till the end of 2017. He scored his career’s best with Kick which released early this year. Sajid Nadiadwala directed and produced the movie which ended as the biggest blockbuster in his career. He then came up with Bajrangi Bhaijaan which smashed all the existing records in his career. The movie even crossed the collections of Kick and Bajrangi Bhaijaan minted Rs 600 crores all over the world which is huge. Kabir Khan directed the movie and Kareena Kapoor Khan played the female lead. Salman Khan has come up with a family entertainer titled Prem Ratan Dhan Payo which released for Diwali and grossed Rs 400 crores all over the world. Many top filmmakers have been eagerly waiting to make a film with this Superstar and he has already committed with multiple films. He is currently shooting for his next movie Sultan in the direction of Abbas Ali Zaffar and he will be seen as a wrestler in the film. The movie is currently under shoot and will hit the screens for Eid next year. With lot of offers, Salman also has been into many controversies and is currently struggling to come out of Mumbai Hit and Run case which is in final stages of judgement. The case is currently in Mumbai High Court where the discussions are in final stages. The arguments are happening between the prosecution and the defence. The prosecution has already submitted many witnesses and evidences against Salman Khan to the court. Though the defence has been struggling out to prove that the evidences are fake, sources say that Salman may struggle this time. He will be termed imprisonment for 5 years. Mumbai High Court Chief Justice AR Joshi is hearing the discussion and will reveal his verdict soon. Let’s wait to see if Salman will be convicted or will be released safe.